Get the look you want with the durability you need. 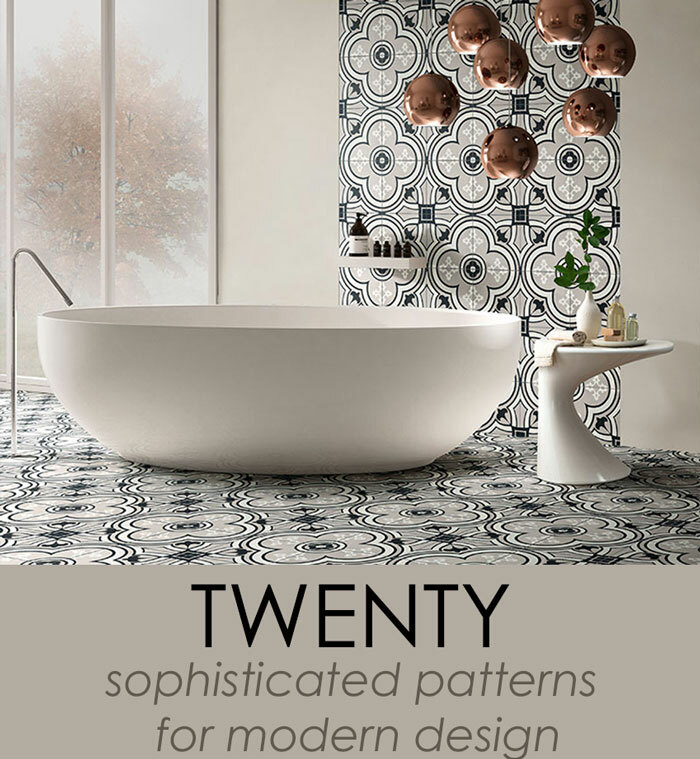 Today’s technology has allowed tile manufacturers to create wood- and marble-look tiles like never before. 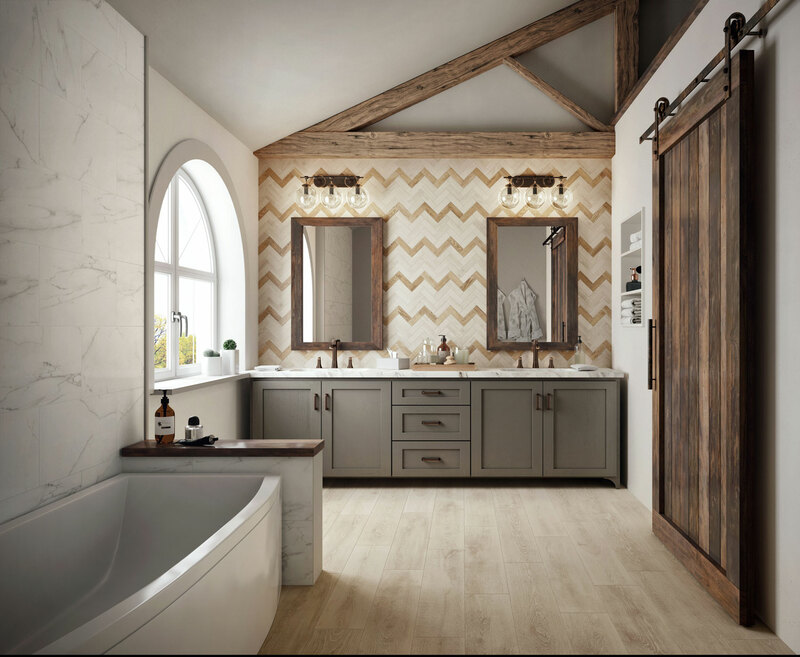 Deep, natural veins in random patterns make our marble porcelains so realistic, the only difference you'll notice is how easy they are to maintain. Our wood-look tiles not only have the appearance of real hardwood, but the texture as well. And you won't have to baby this hardwood - high heels and dog paws won't dent or scratch this beautiful flooring! Industrial and metropolitan, a fine combination of treated metallic shades represents a precious ally for modern and urban environments. Grease stains, corrosion and oxidation add a lived and consumed character, providing a highly realistic effect. 12" x 24" and 18" x 36"
Industrial and metropolitan, a fine combination of treated metallic shades representsa precious ally for modern and urban environments. Grease stains, corrosion and oxidation add a lived and consumed character, providing a highly realistic effect. At Mosaic, we do our best to service all clients. Whether you are coming in for the first time or the third time, please know that the Design Process truly starts when a client sits down with one of our Design Consultants to review the specifics of their project. You may be surprised when the consultant asks questions that you haven’t given much thought to previously, but rest assured, this quick conversation is critical to enable our Designers to gather all the information they need to best help you, the client, work through your project. If you aren’t ready to start the Design Process, you are always welcome to take your time and browse our Design Center to help gather ideas in preparation for a Design Consultation. We have hundreds of installations and displays sure to inspire and get your creative juices flowing. When you are ready to sit down and start the process, just check back in at the front reception area, and we will do our best to accommodate you. In order to better serve you, we offer professionally-trained Design Consultants to help with your project. Our consultants understand the design and construction process and will work with you and your contractor to ensure that your project exceeds your expectations. Our Design Centers are filled with exciting installations and inspirations. You are welcome to come in and browse during regular business hours. 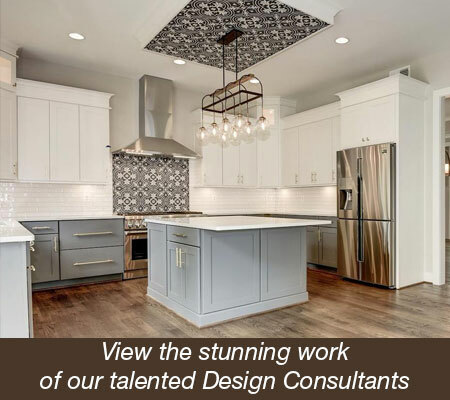 However, if you would like the expert advice of a Design Consultant during your selection process, we request that you schedule an appointment. Please call your local Design Center and let them know you are interested in a design consultation. Our Design Consultants will do their best to accommodate you in a timely fashion. 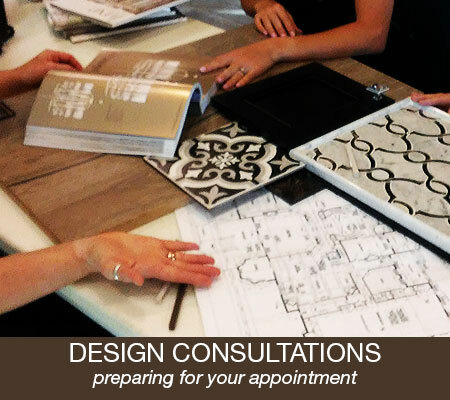 Click here to schedule your Design Consultation.